LikeFinland team explored the fourth biggest city of Finland, Vantaa, in this spring 2017. We visited i.a. family destinations such as Heureka and new Pikseli Arcade as well as "Myyr York" street art region in Myyrmäki. Vantaa is located in the Helsinki capital area. Vantaa's romantic manors with its beautiful natural surroundings, free museums, stunning street art and impressive new destinations make Vantaa an attractive city for travelers. Especially a wide selection of family attractions and outlets are a good reason to visit Vantaa. One of the destinations we visited was Myyrmäki in the Western side of Vantaa. There has been given room for street art in Myyrmäki, which makes Vantaa even more interesting. Huge street art works, both in the station building and in its surroundings, have remained surprisingly tidy. In Vantaa, there are plans to spread the idea more widely. Myyrmäki's New York -style history of street art extends to the 1970s, when the high 14-storey blocks of flats were built to this area. They almost seemed like skyscrapers in the youth's eye. The neighborhood with its train bridges was like in New York. That is when the name "Myyr York" was born. The selection of Myyrmäki’s restaurants is surprisingly wide. At the area of Myyrmäki station and Myyrmanni shopping center there are restaurants that offers American style and vegetarian food and also Nepalese, Thai and Vietnamese flavors as well. Artsi is a museum that specialises in graffiti, street art and performance. It celebrates the forthcoming centenary of Finland with an exhibition that will endure the whole year. The exhibition Vallaton – Rascal consists of four independent settings - by more than one hundred Artist guests - that change according to the seasons. 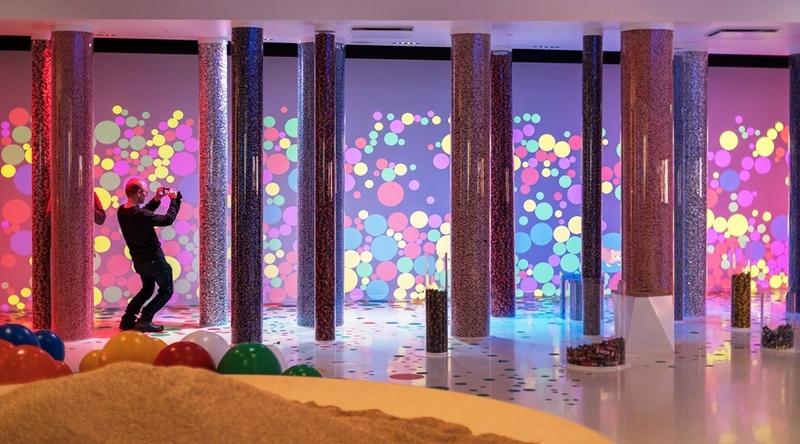 New exhibition Room for Love - Speedway of Emotion was opened on Valentine's Day 2017. The love exhibition is based on a 2-year project, in which the museum has collected love stories by interviews and online surveys from more than 100 people from Vantaa. The stories are mainly in Finnish or Swedish, but you can ask for information also in English, or book a guided tour. It was interesting to read the love stories that had begun from the places we knew, as well as stories in which a single spice or cake recipe has brought two people together. The exhibition has a fascinating and positive surprise material, for example realistic and outspoken diaries of the 1990's. It was fun to see what kind of objects people have saved from their past love stories. There was also a wall that was full of wedding pictures from different decades. A visit to the Vantaa City Museum's love exhibition can be conveniently combine with staying and dining in a romantic manor. Hämeenkylä Manor with its beautiful pink and yellow manor houses is definitely worth a visit. The history of a cultural history extends to the 16th century. The hotel and restaurant, as it is today, was opened to the public in 2013. 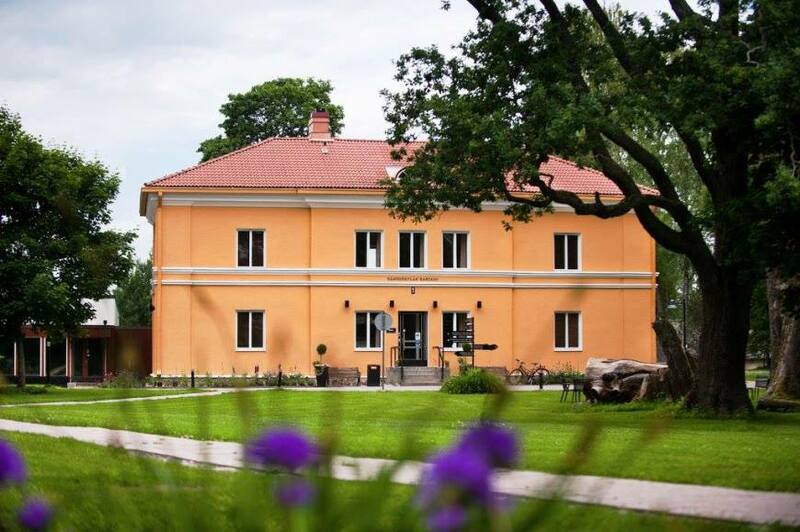 Hämeenkylä Manor is an ideal place for couples who want to spend a romantic weekend in a magnificent manor by relaxing and enjoying good food in a nice atmosphere. 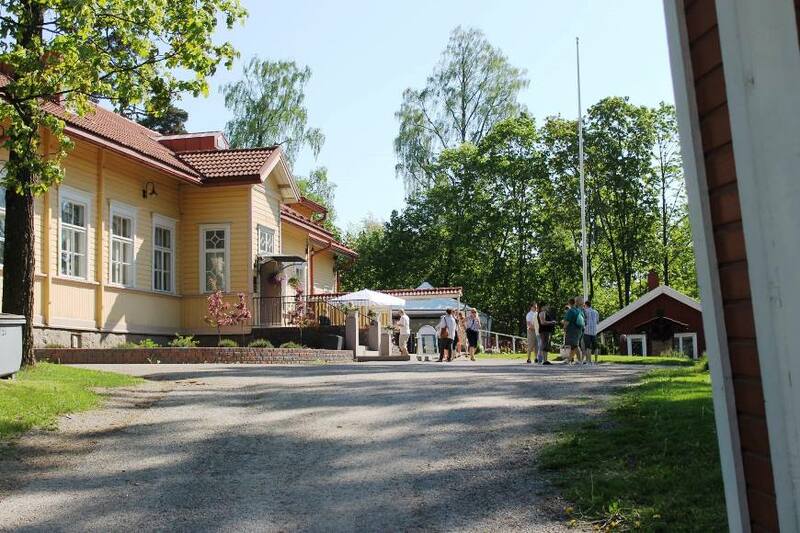 Nearly 6 km from the Helsinki-Vantaa Airport, along Kehä III highway (Ring 3) or along beautiful bike paths east to Vantaanjoki, you arrive at the Kuninkaan Kartano Manor (King's Estate). The rooms of Manor have been used by the Swedish-speaking elementary school for about 80 years until the end of the 1970s, and later as the training facilities of the City of Vantaa. Vanha Viilatehdas, The Old File Factory, located near the Manor house, was in operation until 1903. 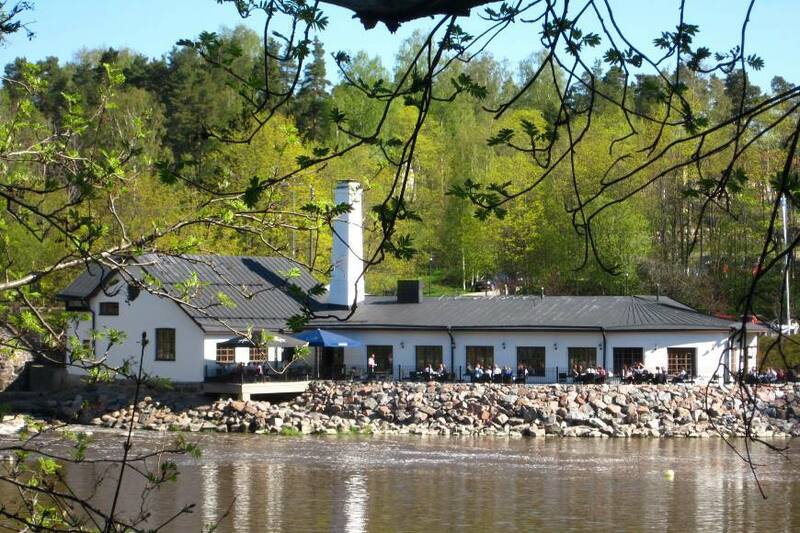 Both restaurants are open to visitors during the opening hours and events. There are open guided canoe tours at the Vantaa River. The excursion is perfect for everyone, and no previous experience of kayaking is needed. Good swimming skills is required. Within a short time, Vantaa has gained many new interesting destinations, exhibitions and reforms. LikeFinland team explored a new virtual reality park, called Pikseli Arcade, at Flamingo leisure world in Vantaa, near Helsinki. Pikseli, opened in January 2017, is not only the first VR (virtual reality) park in Finland but in the whole Scandinavia to this extent! There are 14 game rooms in Pikseli, which is located on the second floor at Flamingo. Pikseli lets you not only watch a movie or play a game, but to live inside it. The experience is unique. We were positively surprised that Pikseli, with its kindly staff and wide selection of different games and VR experiences, is suitable also for those who are not so familiar with video gaming. Pikseli is also a unique holiday destination for those who are travelling in Helsinki area, located near Helsinki-Vantaa Airport. Another newcomer in Vantaa is Fazer Visitor Center in Eastern Vantaa, Vaarala, opened in autumn 2016. Fazer, a classic school class trip destination, has now opened its doors also to individual visitors. The exhibition introduces a visitor to Fazer's history and products. In addition to the exhibition, Fazer Visitor Center has its own cafeteria and shop where you can buy delicacies. We explored in this spring also a renewed Finnish Science Centre Heureka in Vantaa. The Finnish Science Centre Heureka, located in Helsinki metropolitan area, in the heart of Vantaa city, Tikkurila, is one of Finland’s most popular leisure time destinations for all ages. In Heureka, visitors can experience the joy of discovery through spectacular exhibitions, planetarium films and events. The expanded and renewed Science Centre Heureka reopened doors to the public on 28 January, 2017. At first sight Heureka looks more spacious. And no wonder, after all, there is now approximately 2 000 square meters more space than before. With small changes, Heureka has succeeded in creating quite a stylish package being a traditional class trip destination. It is definitely worth a visit with foreign guests - or for you, who are planning a trip to Finland! There are so many things to see and experience in Heureka. One day is not enough, if you want to see and experience all that Heureka has to provide you. It was great to notice that Heureka had built an area where children can design and create different things by themselves or together with an adult. And also that Heureka appears now as a Science Centre for people of all ages. The City of Vantaa and other Star Destinations, mentioned and linked in the article, are media customers of LikeFinland.com media.